Everyone hankers after a spot of sun, sea and sand - unless you're one of those strange people who balk at the very idea of hitting the beach, and who would rather be sat indoors with the curtains drawn - and luckily slots developers are on hand to cater for that whim. 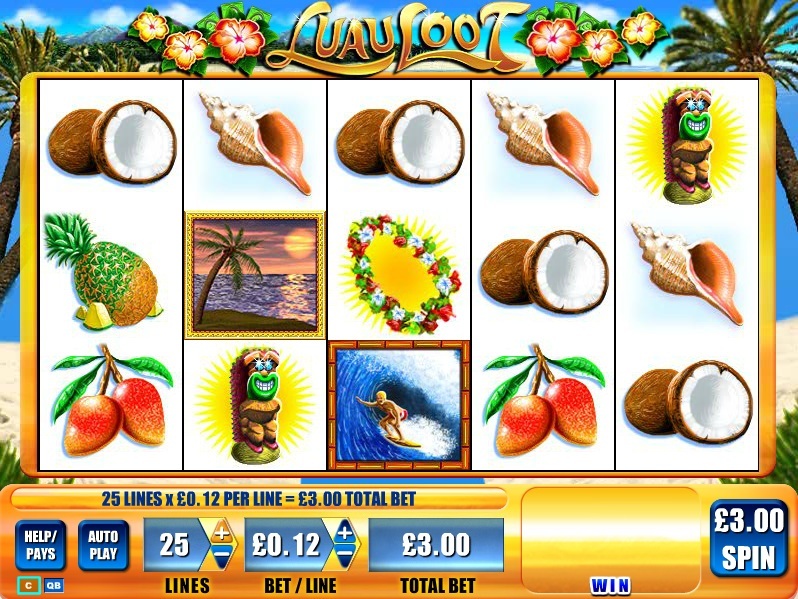 Leading slots makers WMS Gaming - who have been thrilling land-based casino-goers with their G+ tech powered slots for years - are the latest to join in the beach party with their own Hawaiian-themed game, Luau Loot. 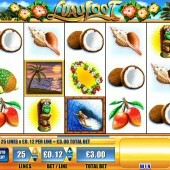 A 5 reel, 25 pay-line slot, Luau Loot puts you firmly in a holiday mood, with white beaches and palm trees adorning the reels. Elsewhere we get plenty of coconuts, pineapples, shells, parrots and surfers - there's even a hula girl! The Luau Loot Wild substitutes for all symbols other than the Scattered palm tree scene. Three or more of those inviting palm tree icons triggers the game's only bonus - the Luau Loot Feature. Here players will be awarded between 5 and 20 free spins; not only that, the free spins feature has an intriguing addition - two Wild reels - which change with each free spin. As far as WMS are concerned, you know you're in good hands if simple gameplay is what you're after. There are no bonus games, cutaway scenes or slick animation here, just bright and breezy graphics and lots of free spins. If the reels are falling right for you, you'll be seeing plenty of real palm trees if you hit the jackpot. With stacked Wilds and a 100 pay-line format, you can't beat the excitement of Microgaming's Summer Holiday if you're after some alternative seasonal slots fare. Elsewhere, Rival Gaming's Summer Ease should be a worthy addition to your list of must-play holiday-themed slots. Dive in to some sunny slots - the water's fine!